Below are three articles exposing rogue agencies in the USA government are still sponsoring terrorism and ISIS. You wont see this in main stream media. Then again, this is all fake news, right? 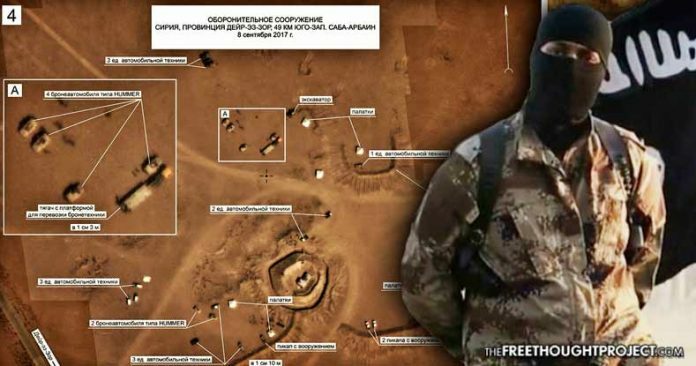 he Russian Defense Ministry released an aerial footage of the Daesh positions north of Syria's city of Deir ez-Zor that showed the US equipment deployed in the area. The photos posted on Russia's Defense Ministry's Facebook page on Sunday show equipment that is used by the US special forces.